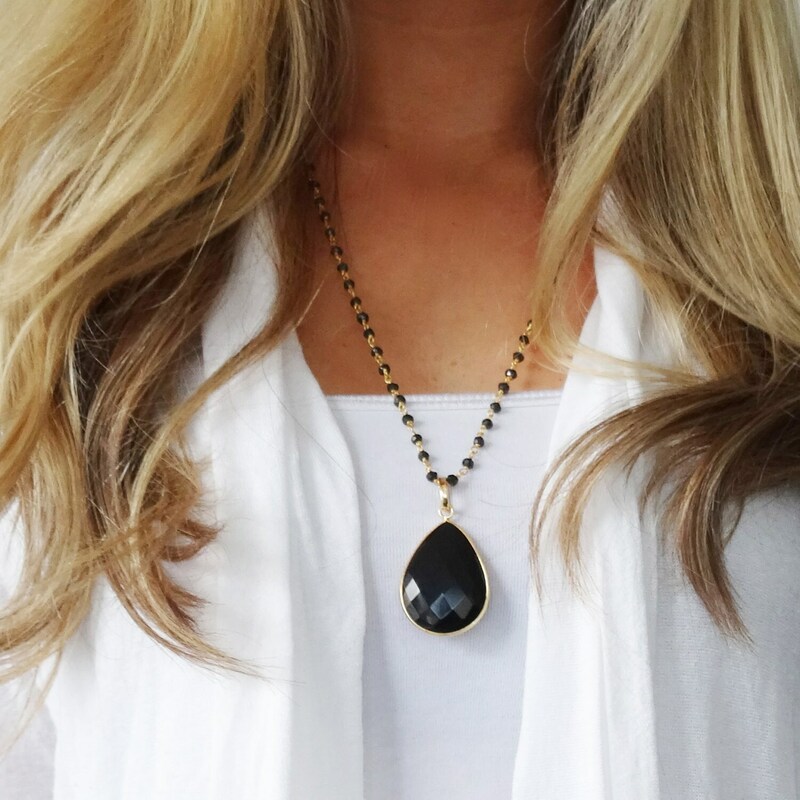 This gold framed black onyx pendant necklace set features a polished teardrop of black onyx gemstone on labradorite or onyx rosary chain. It looks great longer as well! » Select your length at checkout. 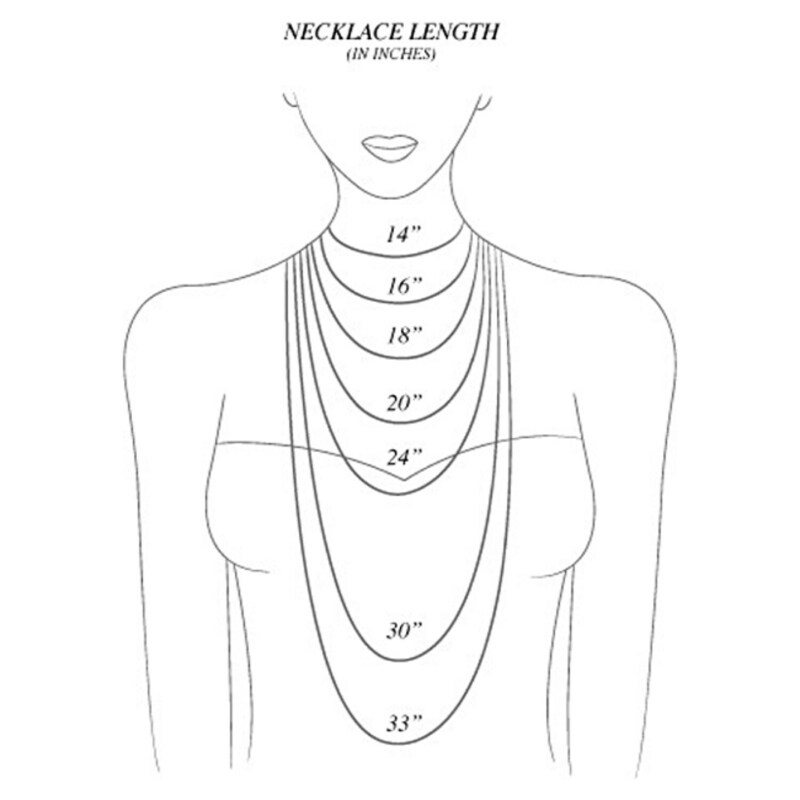 The model is wearing this piece at 22". The reason that I have only given it four stars is that the pale lab does not enhance the onyx as much as I would have liked. That said the necklace is lovely. So pretty, my mil will love it for Christmas! Shipped quite expeditiously. The necklace is stunning. 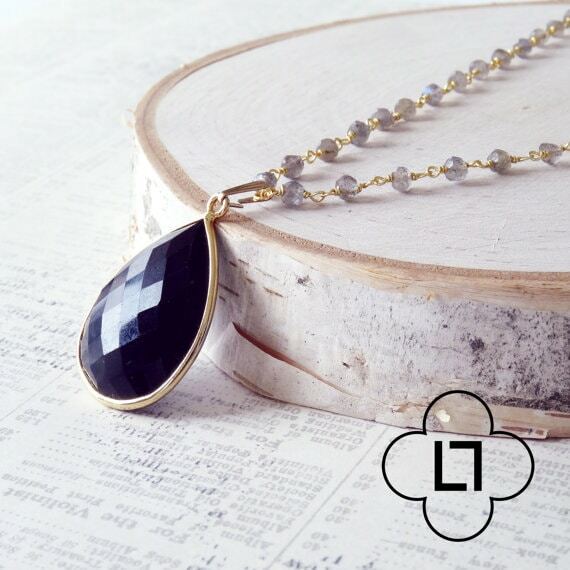 All the stones are beautiful, especially the pendant. Thank you for such a lovely piece. 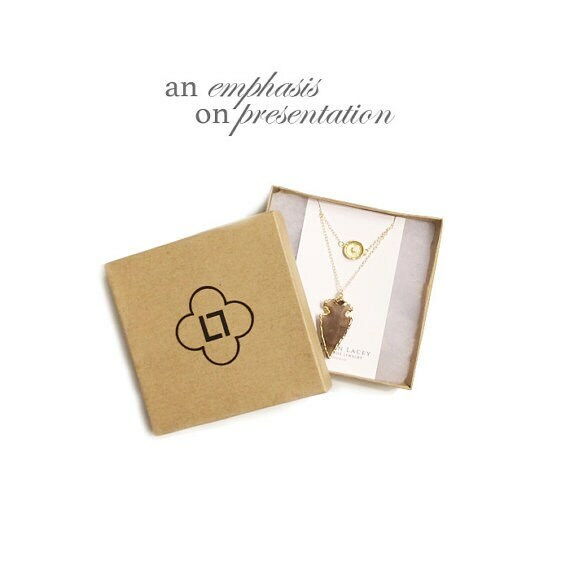 Cannot wait for the lab necklace to arrive. Will def recommend you to friends and will be ordering more in the future.